Pleased to announce VESIM has been accepted as a member of AACSB International-The Association to Advance Collegiate Schools of Business. AACSB International is a global association of leaders in education and business dedicated to supporting and advancing quality business education worldwide. AACSB Membership creates a concrete framework to continually measure program and school quality. Dr. B.B.Singh holds a first class Master's degree in Physics and Ph. D. in Life Sciences from the University of London. He completed his Masters Degree in Law (LL.M.) 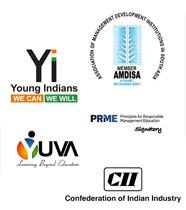 from Mumbai University by research thesis entitled “IPR Laws Relating to Biomedical Technologies vis-à-vis India”. He is a scientist of Bhabha Atomic Research Center Mumbai retired as Head, Radiation Biology & Biochemistry Divisions. 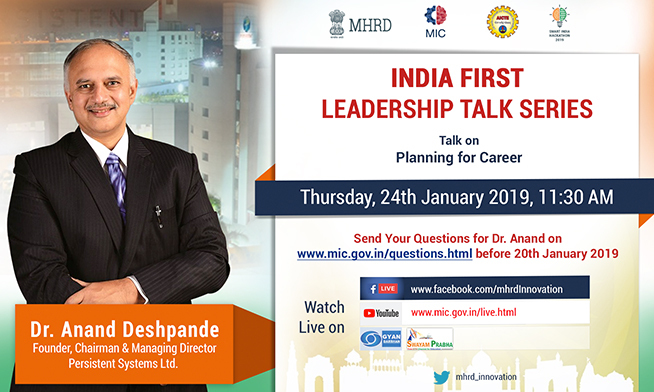 VESIM Institution Innovation Council is hosting the event on Live session for “India First Leadership Talk Series” by Dr. Anand Deshpande, Founder, Chairman & Managing Director Persistent Systems Ltd.This will be a webinar (Facebook live) organized by MHRD’s Innovation Cell. MIC Website : http://www.mic.gov.in/live.html and we are arranging the event in our Auditorium.